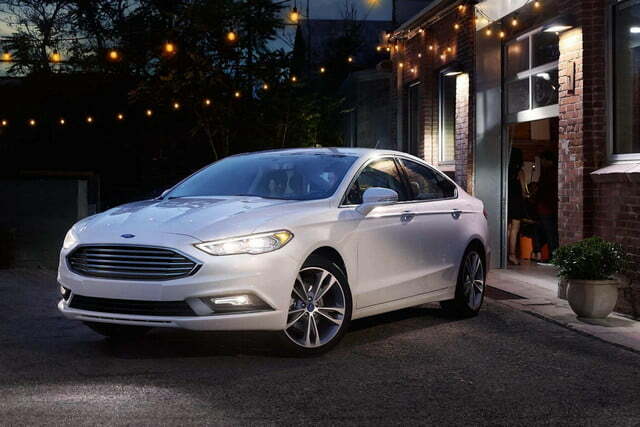 Meet the Fusion, Ford’s best-selling car for the last four years. 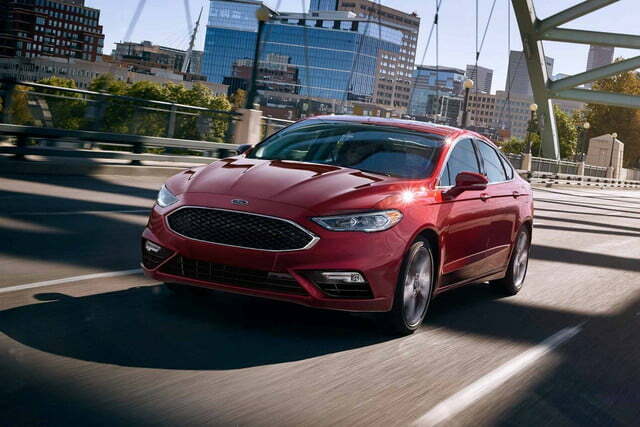 The midsize 2018 Ford Fusion models carry over unchanged 2017. The only Ford vehicles that consistently sell in greater numbers than the Fusion are the F-150 pickup truck, the best selling vehicle in the U.S. year after year, and the Ford Escape. 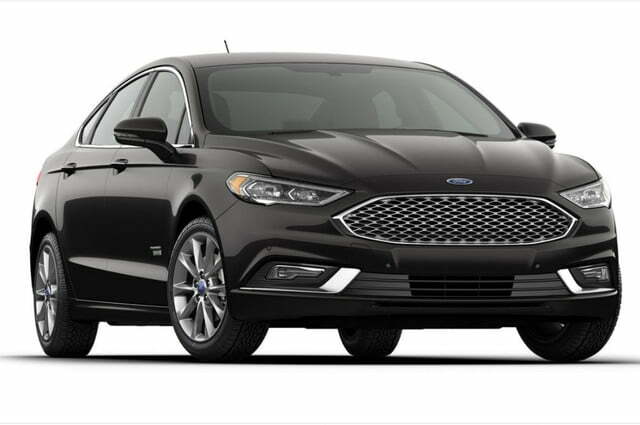 Still in the second generation that commenced with the 2013 Fusion, last year Ford gave the midsize car new front and rear styling and two new trim levels, the V6-equipped Fusion Sport and the Platinum luxury trim. The current model lineup includes hybrid and plug-in hybrid engines along with normally aspirated and turbocharged gasoline motors. The Toyota Corolla and Camry, Honda Civic and Accord, and Nissan Altima are the only cars that sold more in the U.S. in 2016. 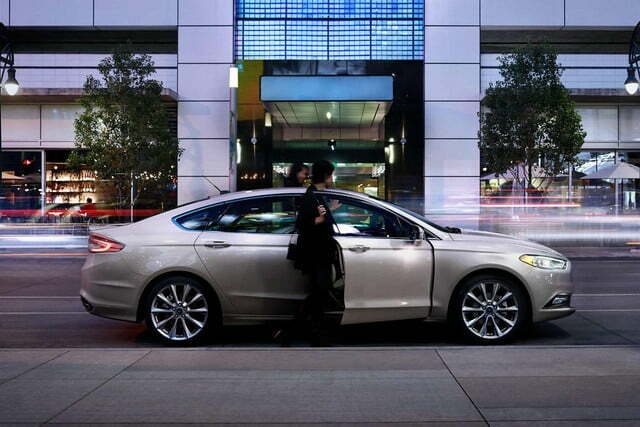 Choosing a Ford Fusion can be tricky unless you know what you want from the start. There are five trims and six engines. Eight models are front-wheel drive (FWD), one has all-wheel drive (AWD) only, and AWD is optional with three FWD standard trims. The table below should be a helpful starting point. As you can see, there are there are 12 different Fusion versions, five with gasoline-only engines, four gas hybrids (HEVs), and three plug-in hybrid engines (PHEVs). 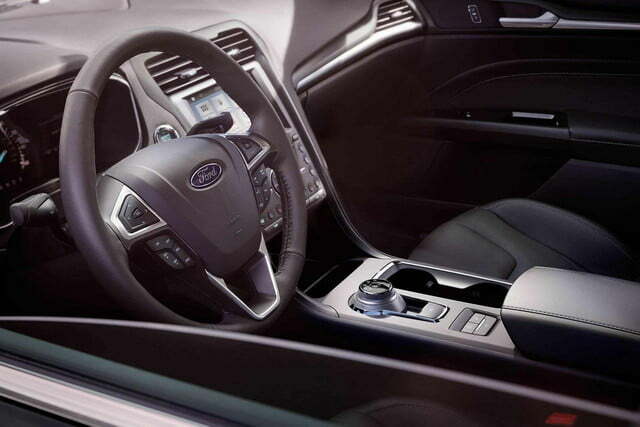 All-wheel drive is standard on the Fusion Sport trim and optional on just three others. 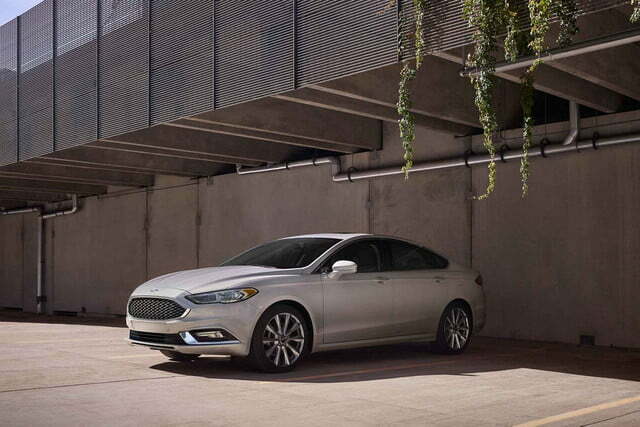 The Fusion SE is the only trim with engine options. 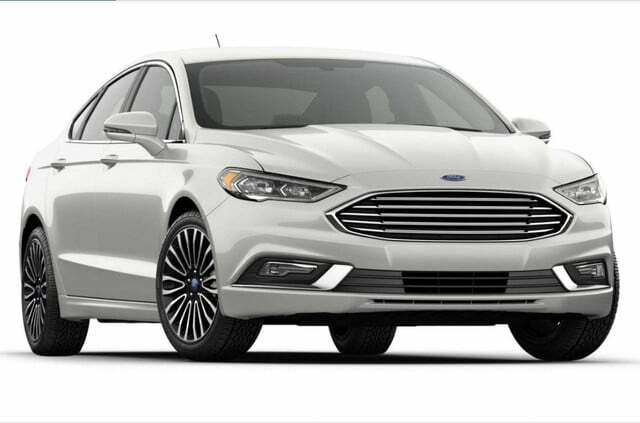 Starting prices for the various Fusions ranges from $22,210 for the base Fusion S to $39,225 for the Fusion Energi Platinum. Some choices are easy. 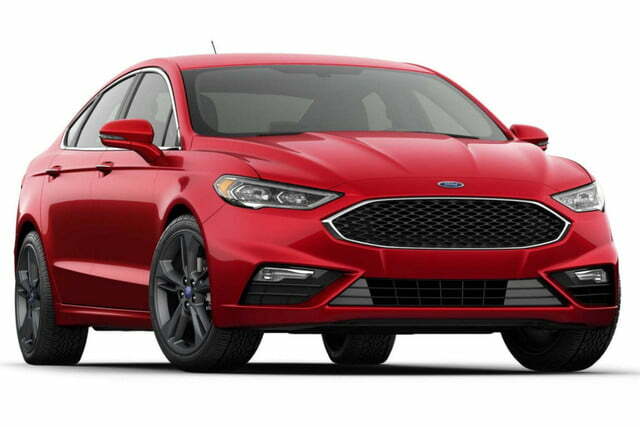 If you want the least expensive model, buy the Fusion S. If you want the fastest, sportiest car, choose the Fusion Sport with its 325-horsepower V6 engine. 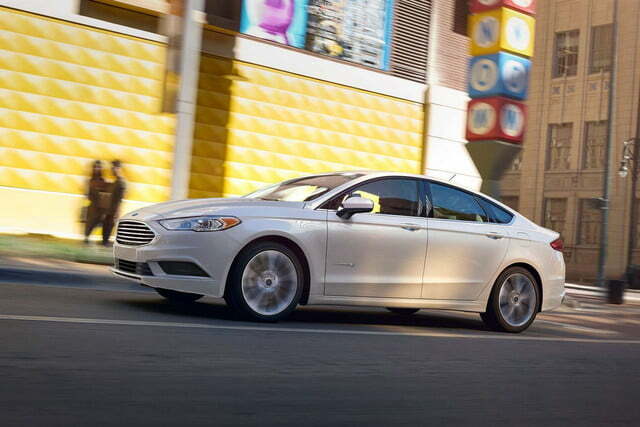 If you want the fanciest Fusion with the best fuel economy, the Fusion Energi Platinum is your choice. But let’s break the trim variations down. In its least expensive trim, with a $22,210 starting price, the 2018 Ford Fusion S also fewer options and option packages than the other trims, but that doesn’t mean the base Fusion is a stripped model. 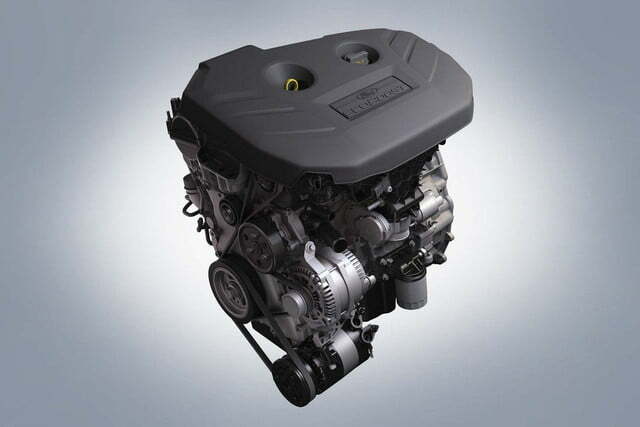 The 175-hp 2.5-liter Duratec inline-four engine is paired with a six-speed automatic transmission with a rotary dial selector. Sixteen-inch sparkle-silver-painted aluminum wheels also help the S look anything like a starter model. 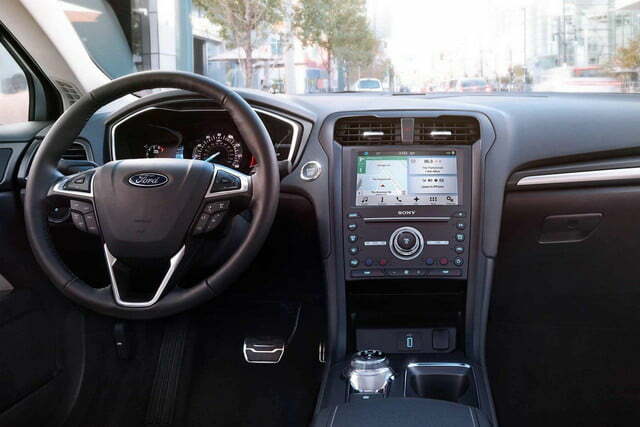 The Fusion has a 2.3-inch monochrome information display on the dashboard. The enhanced SYNC communications and entertainment system has voice recognition and includes a basic AM/FM stereo with a single CD player, MP3 compatibility, and four speakers. There are also two 12V powerpoints for plugging in personal electronics. Features you might not expect include push-button start, power door locks, automatic headlights, cruise control, and remote start. 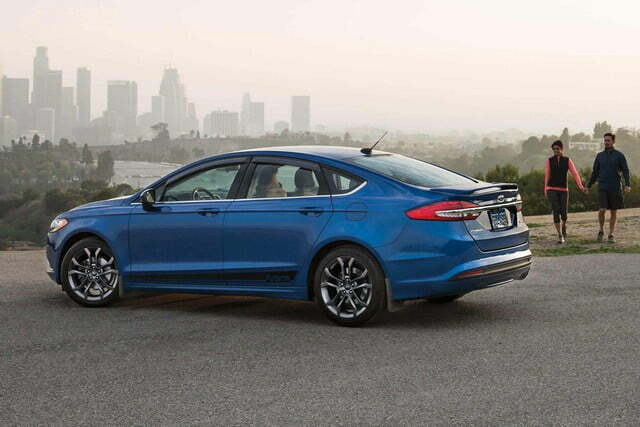 The Fusion’s side mirrors have integrated blind spot mirrors. All Fuson models have a rearview camera, emergency-assist parking brake, emergency brake assistance, a keyless entry fob, perimeter alarm, and the SecuriLock passive anti-theft system. Stepping up to the Fusion SE adds additional features $23,395 starting price. SEs have 17-inch aluminum wheels, power-adjustable driver and passenger seats, a 4.2-inch configurable LCD driver dashboard information screen, power side mirrors, LED signature lighting, and an individual tire-pressure-monitoring system. 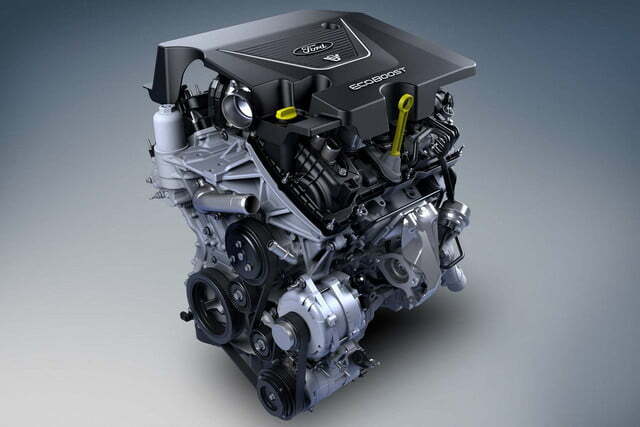 The SE is the only Fusion model with optional engines, with upgrades to two turbocharged motors, including a 181-hp 1.5-liter EcoBoost engine with auto stop-start and a 240-hp 2.0-liter EcoBoost motor. 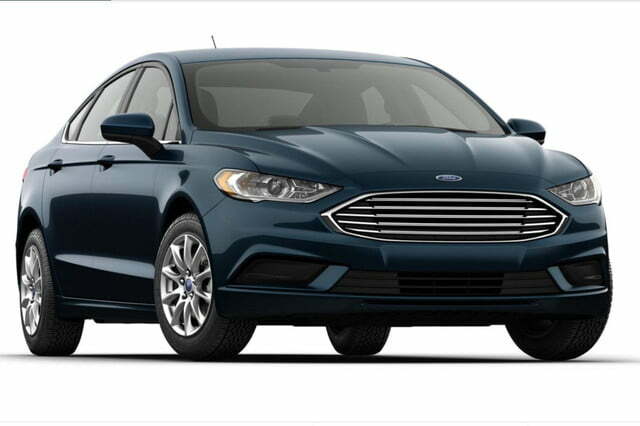 The Fusion SE, like the Titanium and Platinum models, is also available with all-wheel drive. 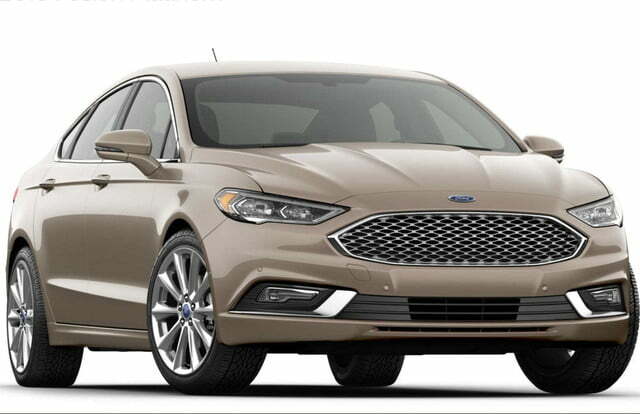 The 2018 Ford Fusion Titanium, starting price $30,395, is the first of two luxury trims. The Titanium comes with Ford’s SYNC 3 voice-recognition communications and entertainment interface and a Sony audio system with HD radio and 12 speakers. 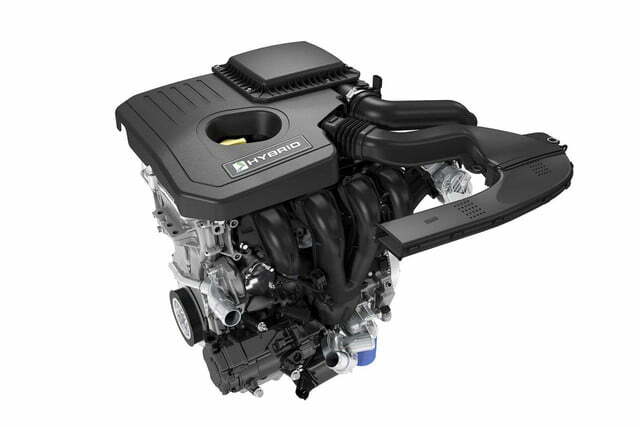 The standard (only) engine is a 240-hp four-cylinder EcoBoost with a six-speed SelectShift automatic with paddle shifters. Other standard Titanium features include 18-inch aluminum wheels, sports seats with leather upholstery, heated front seats, dual-zone automatic temperature control, plus two 4.2-inch LCD screens, power side mirrors, and a reverse sensing system. The top-of-the-line luxury trim, the 2018 Ford Fusion Platinum starts at $36,895. Platinum features include voice-activated navigation with SiriusXM Traffic and Travel link on an 8-inch LCD touchscreen. 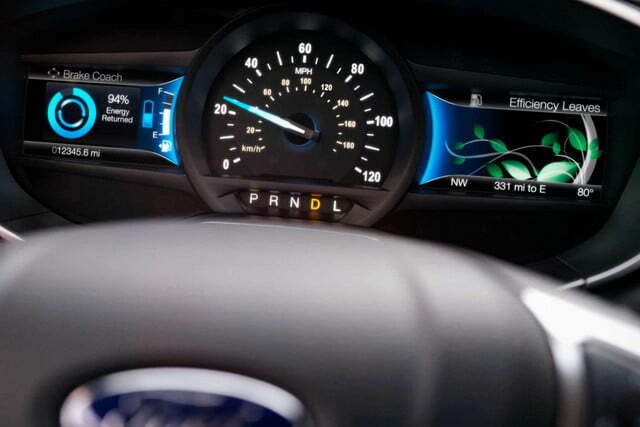 Ford’s lane-keeping system detects travel lanes and assists with staying in the lane. The Fusion Platinum has 19-inch polished aluminum wheels, a power moonroof, universal garage door opener, and heated and cooled premium leather front seats. Other standard safety and driver assist features include blind spot detection with cross-traffic alerts, rain-sensing wipers, enhanced parking assistance, adaptive cruise control with stop-and-go, and pre-collision assist with pedestrian detection. The 2018 Ford Fusion Sport is the only trim available with a V6 engine, a 325-hp 2.7-liter EcoBoost. The Sport has a $33,750 starting price and comes standard with an intelligent all-wheel drive that balances torque between the front and rear wheels to maximize traction. Continuously controlled damping (CCD) suspension protects against pothole and other road irregularity jarring and damage. 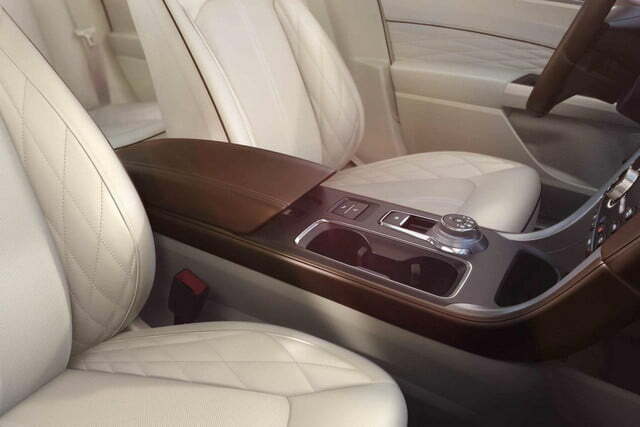 The Sport also has standard sports seats with leather upholstery and heated front seats. Exterior features on the Sport trim include a black mesh upper grille, rear decklid spoiler, and quad-tip dual exhausts. 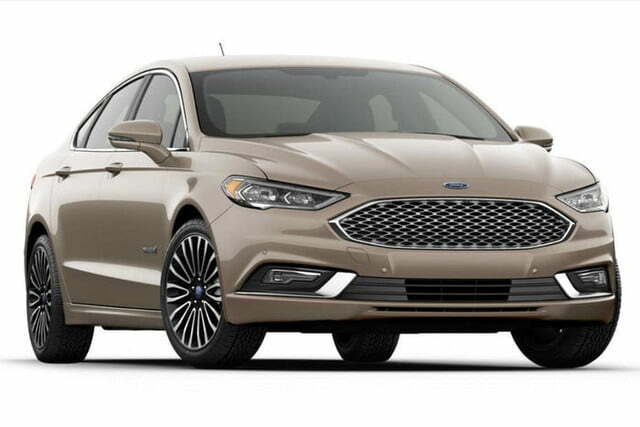 All Fusion Hybrid and Hybrid Energi models are powered by a power-split hybrid design using 2.0-liter iVCT (intake variable cam timing) Atkinson-cycle inline four-cylinder engine and an 88kW electric motor with an electronic continuously variable transmission (eCVT). 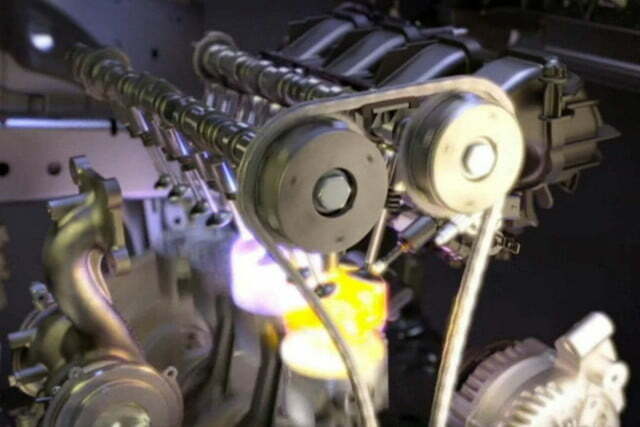 Atkinson-cycle engines are internal combustion engines designed for greater efficiency than power. 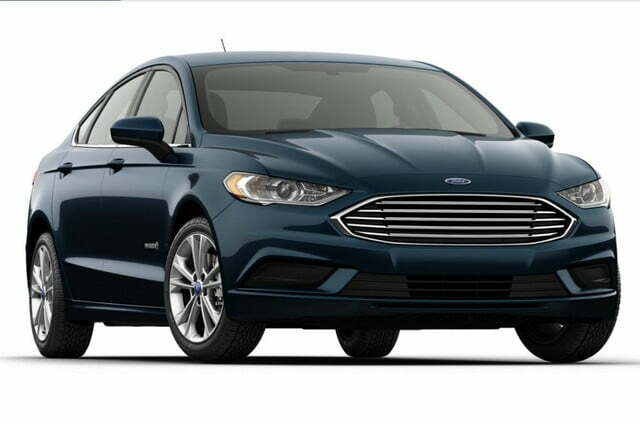 The Fusion Hybrid models have a 1.4kWh lithium-ion battery and generate power with the gasoline engine and with regenerative braking. 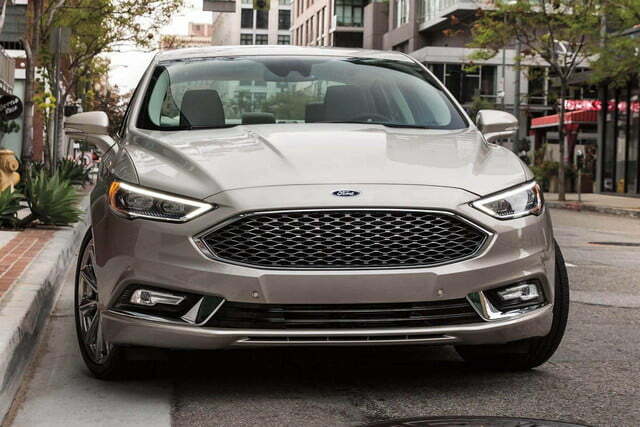 Fusion Hybrids are only available with FWD, and all are EPA rated at 43 mpg in city driving, 41 mpg on the highway, and 42 mpg for combined driving. 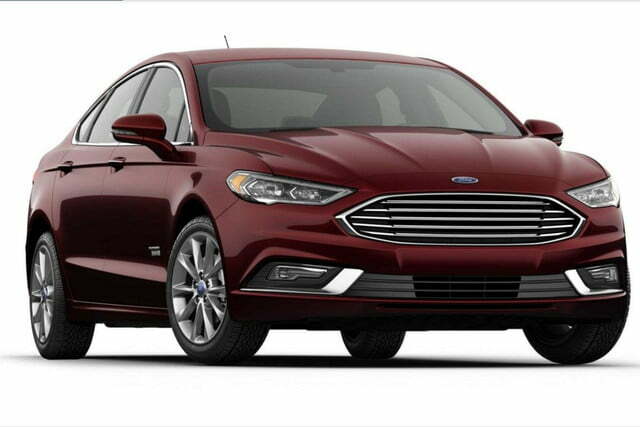 With its $25,295 starting price, the 2018 Ford Fusion Hybrid S is the least costly of seven hybrid trims. 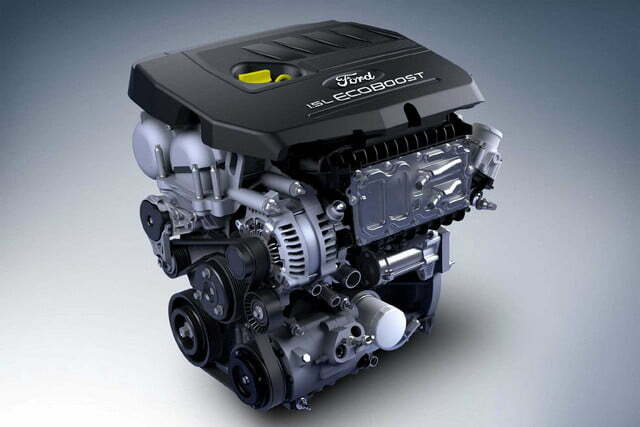 Other than the powertrain difference most standard features are identical to the Fusion S gas models. Unlike the Fusion S, the Hybrid S has 17-inch aluminum wheels, standard dual-zone temperature control, nine speakers for the audio system, and two 4.2-inch configurable LCD screens in the driver instrument panel. The Hybrid S also has an EcoSelect button and the Hybrid’s SmartGauge with EcoGuide to display energy use. 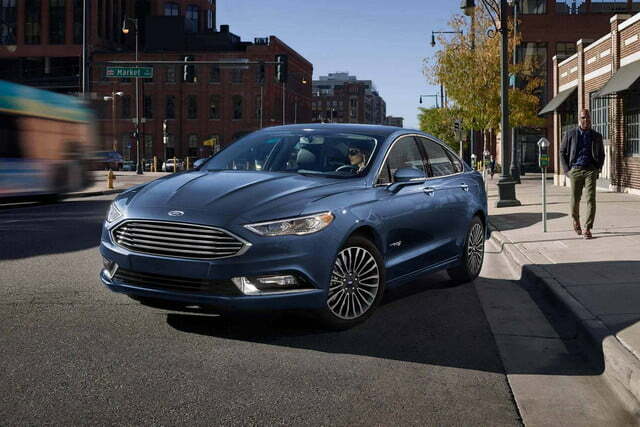 The 2018 Ford Fusion Hybrid SE, starting price $26,245, has the most of the same features as the gasoline-powered Fusion SE. In addition to the Hybrid S, the Hybrid SE gains power adjustable front seats, LED signature lighting, and the SecuriCode keyless entry keypad. 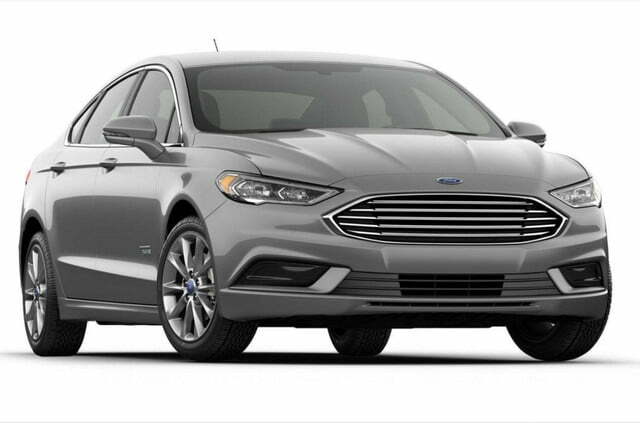 The 2018 Ford Fusion Hybrid Titanium (starting price $30,775) adds leather sport seating with heated front seats to the features found on the Hybrid SE. The Hybrid Titanium also gets the upgrade Sony audio system with 12 speakers, ambient interior lighting, remote starting, power heated side mirrors with turn signal indicators, and driver side auto-dimming ad memory, and LED headlamps and fog lamps. The top Fusion Hybrid Platinum trim for 2018 starts at $37,275. 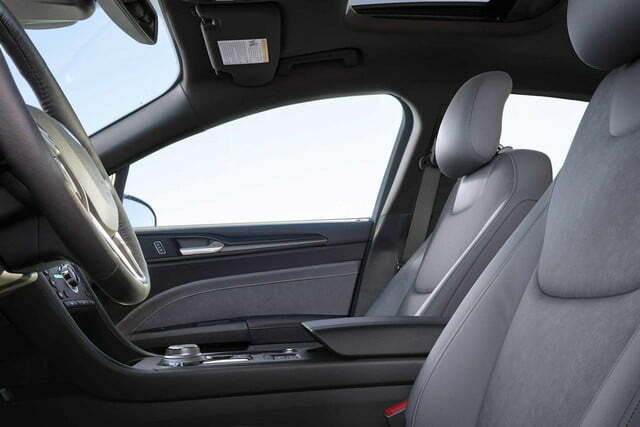 This trim includes the full driver assist and passive safety suite. The Hybrid Platinum also adds cooled front seats, premium leather seat front and back, voice-activated navigation, and rain-sensing wipers. 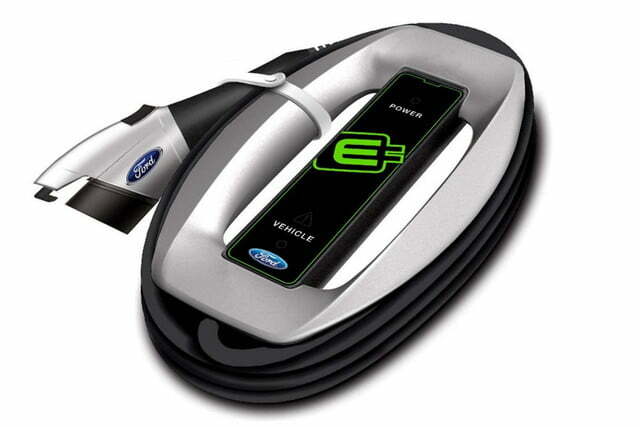 The Fusion Energi models are plug-in hybrids, which use external charging sources to charge their 7.6kWh lithium-ion batteries. A 120v convenience charge cord is standard with all Energi models, which can fully charge the Fusion Energi battery in about 7 hours. 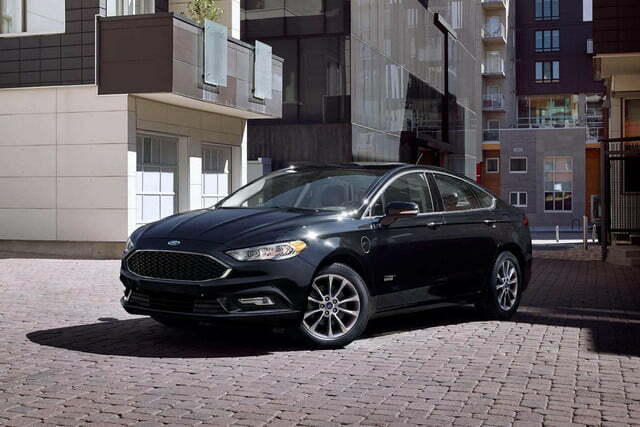 The Fusion Plug-in Hybrids are rated at EPA mileage equivalents of 104 MPGe for city driving, 91 MPGe on the highway, and 97 combined MPGe. There is no Energi S trim. The base 2018 Ford Fusion Energi SE trim, starting price 31,305, has dual-zone automatic temperature control, premium audio with 11 speakers, standard SYNC 3 voice recognition control for communications and entertainment, two 4.2-inch LCD driver information screens, auto-dimming rearview mirrors, remote starting, MyFord Mobile, an EV mode button, power heated exterior mirrors with memory and turn signal indicators, LED headlamps, and a reverse sensing system. 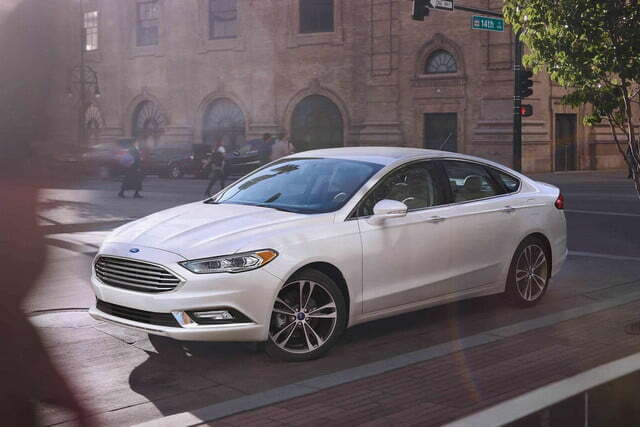 The first-level luxury plug-in model, 2018 Ford Fusion Energi Titanium, $32,305 starting price, adds leather upholstery, heated front seats, a Sony audio system with HD radio technology and 12 speakers, a rear decklid spoiler, power moonroof, universal garage door opener, side mirrors with security approach lamps, and LED fog lamps. 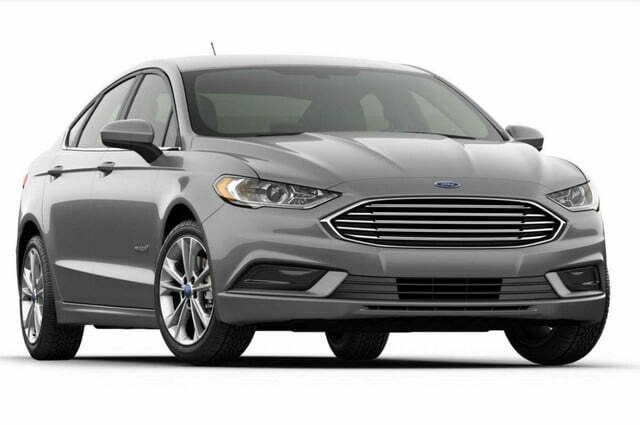 With its $39,305 starting price, the 2018 Ford Fusion Energi Platinum is the most-fully equipped model with the most economical powertrain. In addition to the features on the Fusion Energi Titanium, the Platinum trim adds premium leather seat upholstery with cooled front seats, voice-activated navigation, rain-sensing wipers, the full suite of driver assist and passive safety features included with the Fusion Platinum trim, and a heated steering wheel.